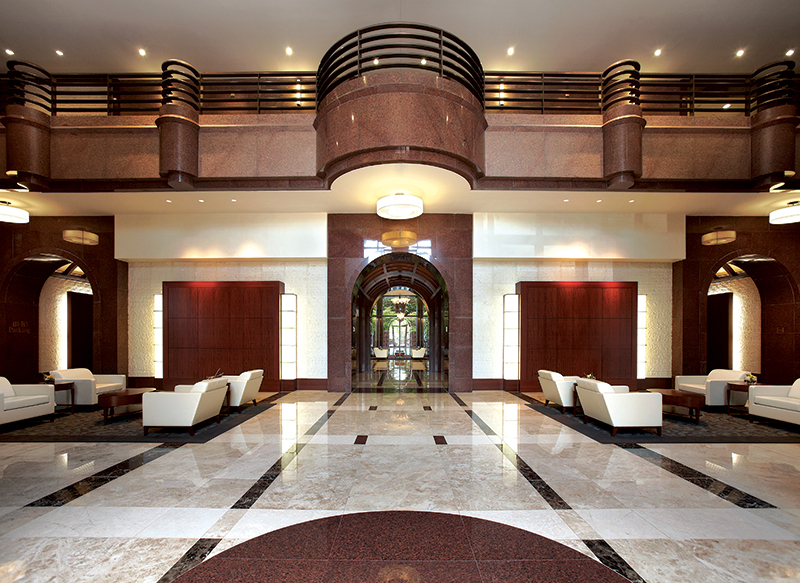 The Lee Quigley Company offers stone services to include a comprehensive evaluation of your marble, granite, terrazzo, limestone or porcelain and provide the client with a detailed analysis for a one time fix; as well as options for a well planned maintenance schedule. Our maintenance staff has the experience to trouble shoot and overcome the toughest stains, utilizing sophisticated methods and eco-friendly chemicals; to ensure your floors will out-last the competition! Our process consisting of grinding, honing or polishing the stone by using various diamond abrasives ranging from 30 to 8000 grit with top of the line floor machines to provide the best quality possible. We can offer simple hand-cleaning with natural stone cleaner; seal or impregnate the stone with stone sealers to repel contamination from grease, oil, citrus juices or alcohol. Give us a call we can take care of it all!